During routine diagnostic MR, patient monitoring is required for sedated or anesthetized patients as well as for those with instable vital functions (Boesch 1995; Shellock and Kanal 1993). Patient monitoring during an MR examination is complicated since the MR system is an extremely hostile environment for other electronic devices and sensors, and at the same time a very sensitive receiver, making the images prone to artifacts. Before devices were commercially available, many monitoring devices were developed by adaptation of existing systems (Boesch 1995 and references therein; Kanal and Shellock 1992 and references therein). 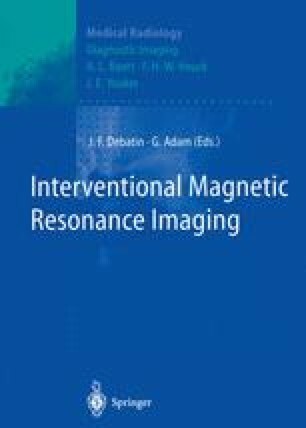 The constant evolution of MR techniques (e.g., interventional MR or echo planar imaging) has necessitated adaptation and evolution of the existing systems.